If you’re reading this review, chances are you’re looking for information on Sisel International. You could be looking for information on the Sisel business opportunity, or perhaps a friend told you about one of the Sisel Products, but either way, before you get involved, I encourage you to read this entire third party review to see if the company is right for you. In this short review, I’ll go over Sisel International and I’ll also give you access to what I would call a totally “unfair advantage” should you decide that Sisel is the right company that you want to get involved with. Sisel International was founded in 2006 by Tom Mower Sr. and his son Tom Mower Jr. As with any successful direct sales company, track record is one of the most important factors to consider before getting involved and Mower has had a very long history in the network marketing industry. In 1978 he founded a company called Images, which later became Neways International. Neways fits in the category of what’s defined as a “legacy company”. A legacy company is a company that has done in excess of 1 billion in sales and continues to billions of dollars in sales. The company went on to become a billion dollar a year company and is still in business today. With any successful direct sales company, the core leadership/management team is just as important as the founder’s and Sisel has some very experienced leaders in their corporate team that bring decades upon decades of experience to the company. While Sisel International is based in Utah, the company is also operating in 10 other countries outside the US including Canada, Germany, Japan and the United Kingdom. One thing that you may find quite interesting is that Mower invested $100 million of his own money to make Sisel a vertically integrated company with his very own 400,000 square foot manufacturing facility. This allows Sisel to control the entire production process of their products. By controlling these key components, it allows Sisel to be in full control of their growth curve and it could be one of the reasons why Sisel is growing so fast. 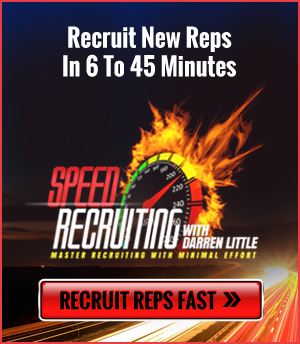 If your upline sponsor doesn’t have a step-by-step blueprint for you to use to brand yourself and generate 50+ leads a DAY for your business, DROP EVERYTHING and click here NOW!!! When it comes to the products, Sisel International carries a wide array of products ranging from, skin care products, hair products and dental care products to supplements and home care products. But by far the premiere line of products has to be their line of liquid nutritionals. Out of all of the liquid nutritionals they market, their flagship product is a liquid supplement called Eternity. Eternity is an intense blend of several key ingredients that are geared to provide several health benefits including improved vitality, enhanced energy levels and weight loss support. On the company site, there’s plenty of third party documentation and validation on the products. Overall, they look to be very high quality products. As far as the business opportunity is concerned, you can become a Sisel International distributor by paying an initial start-up cost and then maintaining a monthly autoship. This is pretty standard in the industry and every successful company has an autoship feature to create long term stability and residual income. The compensation operates on a unilevel platform and provides 5 different ways you can make money. All in all, the compensation pays out a decent amount of upfront income as well as long-term residual income – both great news for the distributors. Obviously, like in anything in life your results aren’t guaranteed. But for the right person, Sisel could be a very lucrative business venture. In closing, Sisel International is an extremely solid company and a company that has a lot of credibility. In my opinion they are here for the long term. Their management team is strong, they have high quality products and their compensation plan is generous. Even with all of these factors it doesn’t mean you’ll automatically succeed just by joining the company. If you decide to join Sisel, there is a way to get a leading edge against 97% of all of the other Sisel Distributors. the first thing you want to do is to find a mentor, trainer and coach that has already had success in the industry that can prevent you from making the same mistakes that most distributors in the industry make. Secondly, you will want to learn two distinct skills – How to become an ALPHA LEADER and how to MARKET YOUR BUSINESS so that you can generate 20 to 50+ leads a day. Leads are the driving force that will fuel your business and no matter how great Sisel is, it will only make you money if you have network marketers to share it with. 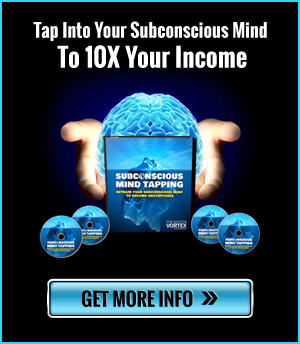 If you learn how to generate an unlimited number of leads, there is no telling how far you could make your income go with the Sisel opportunity. This Sisel International Review was written for people looking into the company. Unfortunately most Sisel reps will never see the success they are looking for, simply because they lack the marketing skills to generate 20 to 50+ leads a day. 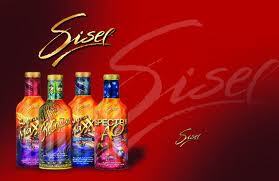 I was introduced to sisel by my cousin who is involved with the company. Lots of Hype! I spent three hundred dollars to purchase their ‘triangle’ of liquid vitamins plus shampoo & conditioner. After almost a month I noticed I had felt better on my old vitamin regime. I called Sisel to inquire about a partial refund or credit toward something else if I returned the unused remainder, but I was informed SISEL INTERNATIONAL NEVER takes a product back!!! One of the things people overlook in most companies, which was also overlooked here, is the Policies and Procedure. Many hide them or make them hard to find. Fortunately, this company had easily available. do so. It is for YOUR protection that you read it. they WILL use it against you. Period. Also, nice words for the company Pres and associates, but none have Network Marketing experience. Sales, yes, research, yes, MLM? No. Great review Darren. I was looking for information on their newer line of hair regrowth products. Anyone have experience in this?